My future plans included going to Honduras for mission work after I graduated from a small Mississippi Bible college. I had already been on a mission trip to Honduras with a wonderful ministry prison team for two weeks when I was just twenty years old. Serving there captured my heart and mind. I figured I would marry and just knew I would be living there ministering with the missionary family we had known for sometime. A lot happened between the years of 2003 and 2006 when I graduated from SBC. I had in fact met my future husband (not in college though) and we wed 6 months after I graduated college. Honduras wasn’t in our immediate plans, but it wasn’t out of my heart. I still prayed for the country and it’s people. The Father knew just what was in store and boy I was in for a surprise. Only four months after we wed, I found out that I was pregnant. Shocked. Scared. Disappointed. I wasn’t supposed to get pregnant. How could I minister in a foreign land with children? I was scared too death of the pain and horror stories I had heard. I was disappointed because I figured my dreams and passion of mission work would never come to pass. Like many pregnant women, those feelings were invaded with love, joy, and anticipation. The sadness of crushed dreams weren’t gone, but the instinct God puts in moms had begin to develop in me. A few months after having our first son, I begin to feel useless and unseen. I think most moms feel that way a lot because society doesn’t applaud us for all the hard work that goes into being a Mother. I just felt like what I was doing wasn’t going to make a difference in the world around me. I longed to share God’s word and His wonders with those who didn’t know Him. The passion to serve begin to rise up and I just wanted to do something great for the Father. I begin to pray He would help me to do something awesome for Him. I was blind to the fact that I was doing something great for Him. 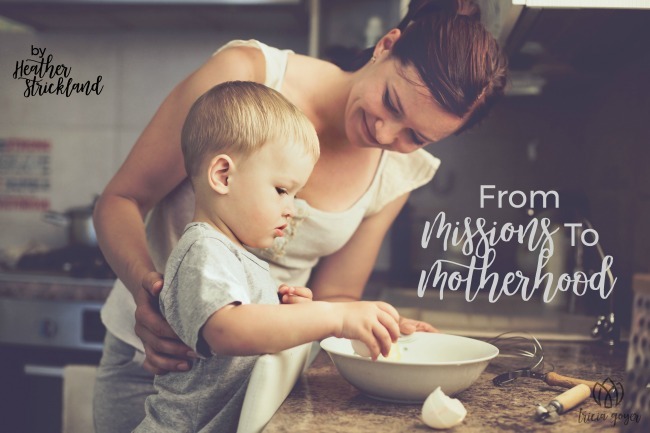 The Father begin to speak to me about the importance of my role as a Mother through scripture, books written by other moms, and the Holy Spirit. I realized that my role was huge. I longed to minister to souls who had never heard the gospel and here He was giving me that. That truth empowered me to become passionate about our son and eventually our others two sons. The impact we have on our children is so vital. We are literally given the responsibility to help shape souls for His glory. That is so mind blowing when you think of it that way. We can teach them about the Father and Jesus so they can know their love. We get to help them learn how to seek the Father and how to turn to Him for their hope. Once I begin to see this, my whole was was turned upside down. The Father put a passion in me that has fueled me to serve our boys. His love has helped me pour out hours of love, care, and discipline (discipleship) to our boys. His strength has helped me to go on when I didn’t think it possible. I realized our boys may be the ones going to foreign countries, who knows. I just had to let go of what I thought was good for me and embrace what the Father knew was good for me. I wasn’t ready for the mission field and He’s used our children to help me see that and grow me in ways I never knew I needed. So Mom is now a title that I love to wear and love to encourage other moms in their journey through motherhood. Never let anyone make you feel less then because you are “just a mom”. You are much more. You are raising world changers and servant warriors for the kingdom of God. Ask Him to show you how to He desires to work in your children and to ignite a passion in you for them. We have such a privilege to teach, care, love, and disciple our children to follow after Him. It’s a high calling we should walk out with joy. 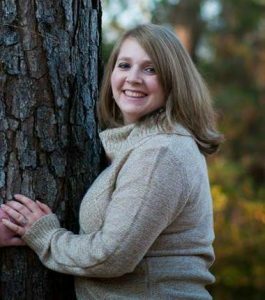 Mississippi born and raised, Heather Strickland is a stay-at-home wife and mother with a passion to serve her husband and their three boys. When she isn’t serving her family she writes on her blog, Becoming Titus 2 Women, and with Laced With Grace. She has a passion to encourage others through writing, especially wives and mothers. What Happens When We Read God’s Word and Actually Do What it Says? Bestselling Author Tricia Goyer demonstrates the powerful work God accomplishes if we are willing to step out in obedience to Biblical commands and His quiet urgings, no matter our fears or feelings of inadequacy. 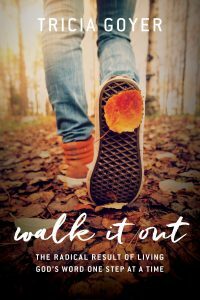 Walk It Out illustrates the real-life results of listening to the Scriptural mandates such as care for the orphan, serve the poor, go into the world to spread the gospel, and love others of all races. The author’s journey, from accepting Christ’s forgiveness and telling her story of redemption to answering the call to adopt seven children when she least expected, is filled with the exhilarating, radical, unexpected life that we experience when we walk into God’s plans for us. Click here to pre-Order a copy of Walk it Out and receive the e-book 30 Days of Prayer as You Walk it Out FREE! Great life story. We need to encourage stay at home moms. We ARE raising the next generation of hopefully responsible, Christian adults! Thanks for sharing.